A man in a suit of iron drops from an American warplane onto a French battlefield and unleashes a powerful cosmic force on an army of Nazis, their massive war machine, and their most dangerous agent, the deadly Black Flame! Collects Sledgehammer 44 #1?#2 and Lightning War #1?#3. 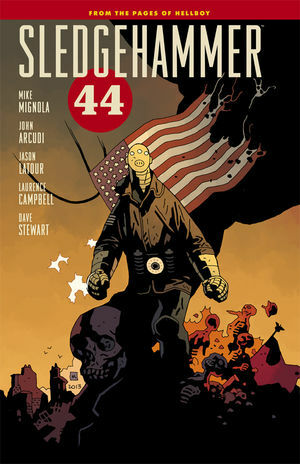 * From Django Unchained artist Jason Latour and B.P.R.D. artist Laurence Campbell!